Joe "Ike" Pierce, 74, of Newbern, Tennessee died on Tuesday, March 26, 2019, at West Tennessee Healthcare-Dyersburg Hospital in Dyersburg, Tennessee. Born Saturday, August 5, 1944 in Dyersburg, Tennessee, he was the son of the late William "Dude" Pierce and the late Ethel Hall Pierce. He was a self-employed carpenter, attended Zion United Methodist Church in Elbridge, Tennessee and proudly served his country in the United States Army and retired from the Tennessee Army National Guard after eighteen years of service. 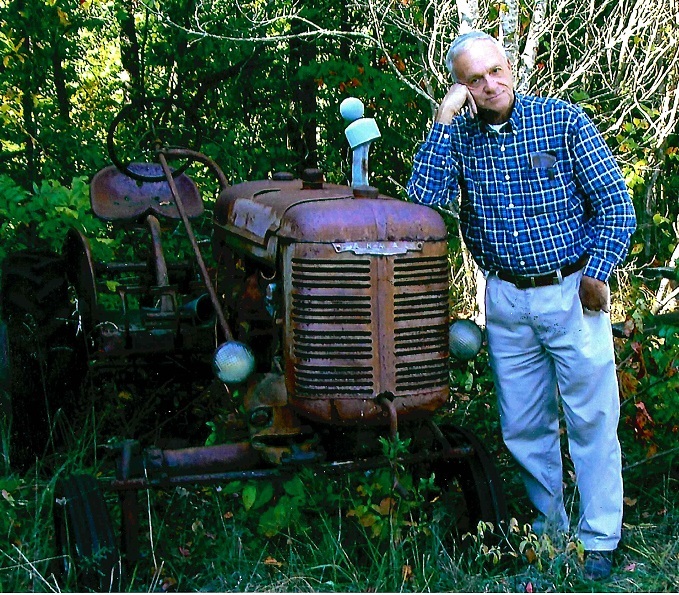 Graveside services for Mr. Pierce will be 2:00 PM on Thursday, March 28, 2019 at Zion Cemetery in Elbridge, Tennessee. Officiating this service will be Rev. Joe Thorn. Visitation will be Thursday from 11:30 AM until 1:30 PM at Johnson-Williams Funeral Home. He is survived by his wife of fifty-one years, Judy Sharpe Pierce of Newbern, Tennessee; one daughter, Trena Jo Rodrigue (Ethan) of Pikeville, Tennessee; one brother, Terry Pierce (Glenda) of Ridgely, Tennessee; five sisters, Silby Joslin (Fentress) of Dyersburg, Tennessee, Anita Essary of Dyersburg, Tennessee, Mary Keeling (Jackie) of Dyersburg, Tennessee, Janice Montgomery (Mike) of Dyersburg, Tennessee and Rochelle Pruett (Barry) of Dyersburg, Tennessee; two granddaughters, Kaylee Rodrigue and Claire Rodrigue both of Pikeville, Tennessee; one honorary grandson, Weston Arant of Hornbeak, Tennessee; one brother-in-law, Jerry Sharpe of Newbern, Tennessee and a host of nieces and nephews. In addition to his parents he was preceded in death by one brother, William "Junior" Pierce and three sisters, Gloria Johnson, Martha Viar and Vonda Wilson. Pallbearers will be Monty Essary, Kevin Joslin, Jeff Johnson, Lynn Johnson, Jerry Lee and Daniel Arant. Honorary pallbearer will be Bill Thrasher. Online condolences may be made to the family at johnsonwilliamsfuneralhome.com. Johnson-Williams Funeral Home is honored to serve the family of Joe "Ike" Pierce.